Did you know that guided relaxation can be invigorating, inspiring, and even, energizing? Imagine yourself “in the zone” - a flow state of creativity and focus, energized by your ideas, and clear on how you want to actualize them. You can get there…without the burnout and injury that often come from too much intense movement and rigorous exercise. I used to think that rest was a waste of time — that I had more important things to do. For a while, being busy felt like a high. I thought I could do anything. Over time, it took it’s toll on my mind and body. I felt disconnected from myself and other people. I was addicted to “doing” but no longer prolific or efficient. It became difficult to prioritize tasks because everything felt equally urgent. Stress builds up in the body like plaque builds up on your teeth. It impacts your mood, your sleep, your physical health, your relationships, and your emotional wellbeing. A safe and appropriate self-care practice can help you optimize your potential and cultivate your unique creative gifts. Join me for a two-hour journey to discover the revelatory nature of guided rest and relaxation through the lens of Restorative Yoga. 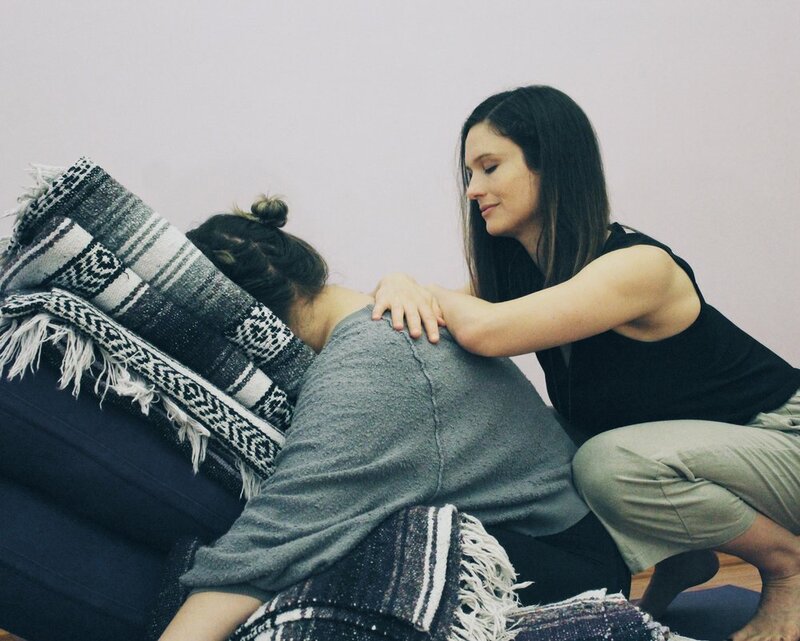 We will apply a combination of simple, accessible movements and restorative yoga poses to rejuvenate, center, and inspire you. We will spend time journaling the thoughts, feelings, and intentions that come up during movement and rest. We will convene with one another to reflect on the experience and commit to next steps. Most importantly, we will resource you to tolerate rest. 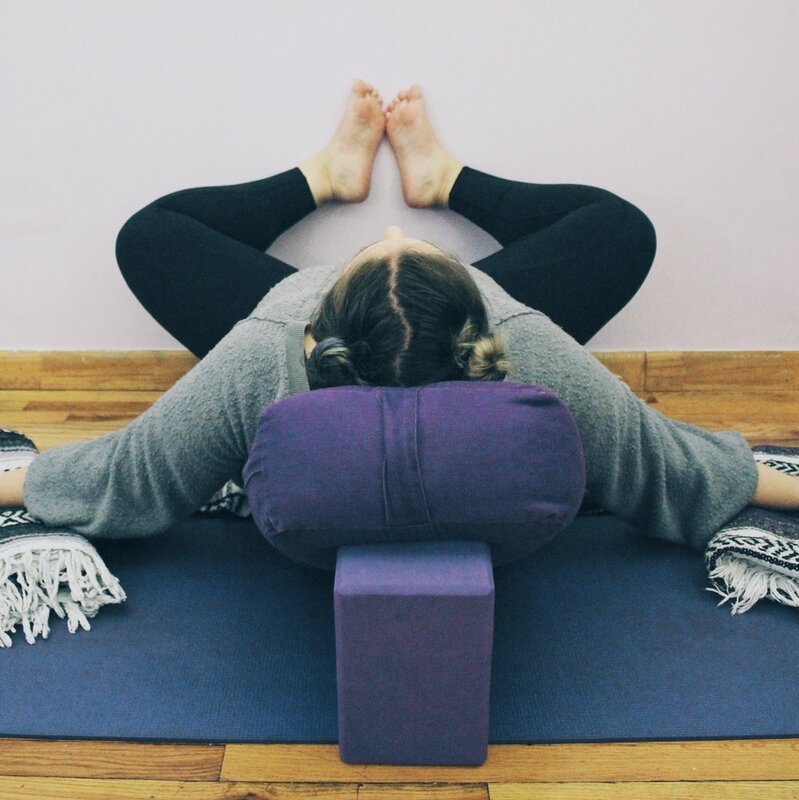 For some people, Restorative Yoga is inaccessible because it feels overwhelming. If this is your experience, there will be appropriate movement options made available to you under the guidance of a trauma-informed therapist and yoga teacher. Each student will enjoy personal attention and adjustments (with explicit consent), as well as a luxurious choice of props to support their unique body and personal needs. *Please note that I do not offer refunds for online purchases. Do you want or need to know more? We love hearing from you. Please feel free to email Lauren with questions.